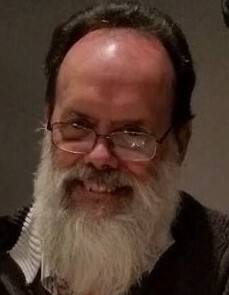 Kenneth W. Sugg, age 62, of Swanton, Ohio, passed away unexpectedly Monday, January 28, 2019, while at work. He was born November 14, 1956 in Toledo, Ohio to Richard and Jeanette (Sauers) Sugg. He attended Libbey High School, and on April 2, 1989, married Laurie Stewart. Ken was baptized in 1979 into the Assemblies of Yahweh based in Bethel, Pennsylvania, and was an avid supporter of its radio ministry WMLK. He held steadfast and true to his faith over the years. Ken worked nearly 41 years for the Toledo Lucas County Public Library as custodian for the facilities and operations. He enjoyed traveling, camping and watching Nascar. He was a huge Beatles Fan and loved playing guitar. His greatest joy in life was being a Papa to his four beautiful grandchildren. Ken will be greatly missed by his beloved wife of 30 years, Laurie Sugg; daughters, Lauren (Michael) Snyder, Katlyn Sugg and Leigha (Brandon) Hankins; grandchildren, Ryleigh, Karlee, Colten and Shelby; his sister, Beverly (Daniel) Woodfeld; brothers, David (Vickie) Sugg and Gary (Nancy) Sugg; as well as his father and mother-in-law, Ronald and Beverly Frantz and stepmother-in-law, Cindy Stewart. Ken was preceded in death by his parents, Richard and Jeanette and infant brother, Richard Kenneth Sugg, Jr.
Visitation will be held Sunday, February 3rd from 1 to 7 p.m. at the Weigel Funeral Home, 204 Chestnut St. in Swanton (419.826.2631). Funeral services will be held Monday, February 4th at 11:00 a.m. in the funeral home. Interment will follow at Dutch Ridge Cemetery. Memorial contributions may be made to WMLK – P.O. Box C, Bethel, PA 19507.